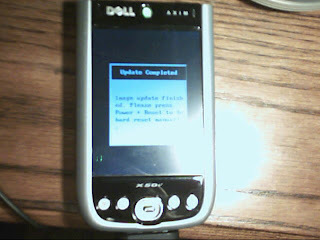 Hey Jade any recent activity with your dell axim? 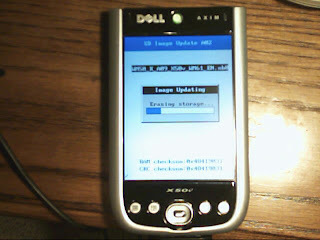 I just took mine out again after 2 years and it still has WM2003SE but I want to upgrade any feedback would be great! So now we have WM 6.5 coming and I want to see if it will work. 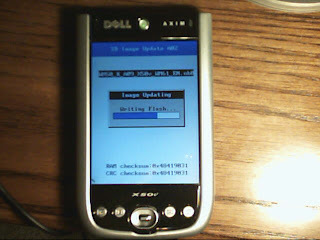 I was finding less and less use for mine, so I wound up flashing it back to WinMo 5 and selling it. 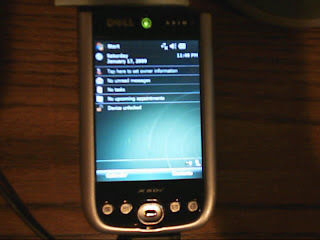 The 6.1 improvements were very slight, and really nothing that made it suddenly worth using. 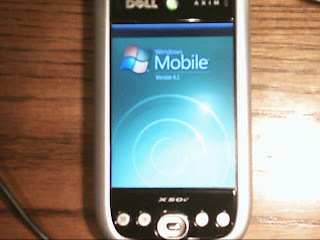 From what I've seen reported of 6.5, I continue to be unenthusiastic about Windows Mobile in general. The upcoming version 7 and the Pink initiative seem slightly more interesting, but nothing that would compel me to buy a WinMo smartphone over, say, an iPhone, Pre, Android, or Blackberry. If you are thinking of dusting off your own Axim, great! They are fun, especially as a development testbed for mobile apps. The biggest advantage of flashing to WinMo 5 or 6.1 would be the support for newer version of the .NET mobile framework. 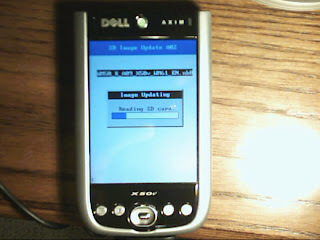 Even though I shrugged off the 6.1 update, it did appear to be more stable than the official Dell release of 5.0. I see, well thanks for your input and I just made the connection about your name not being Jade. I found your article searching through Google for Axim articles and I came across yours and I enjoyed reading it as well as your 25 cent article. As for programing I'm a big computer hardware geek and I very seldom but do play with design software i.e. Photoshop and Corel. I do want to start learning PHP and Actionscript but it seems overwhelming at times but I digress. Thank you for your quick update Adam.